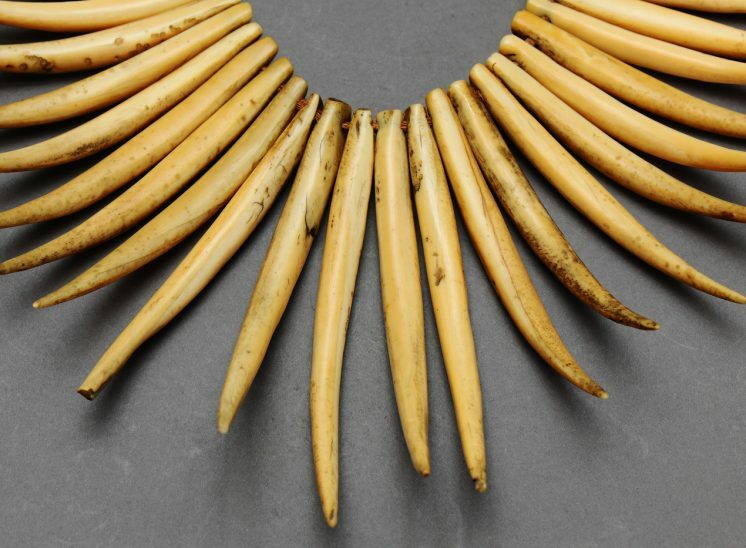 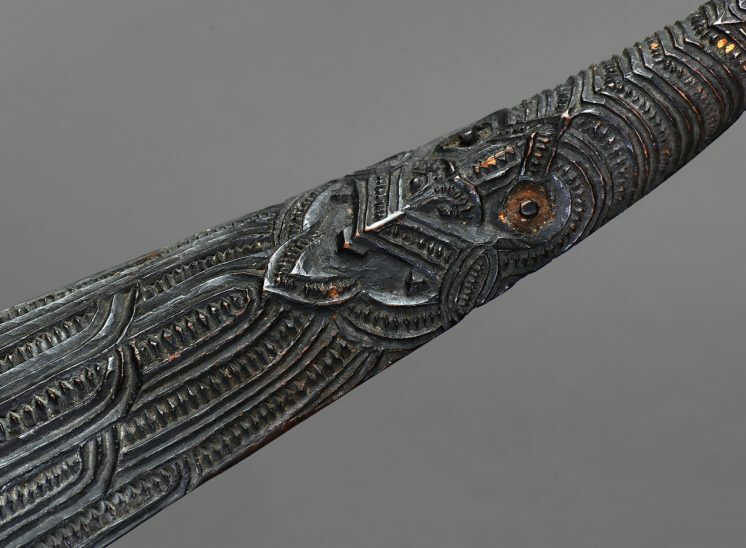 Important forms of sculpture in their own right, the treasure boxes of the Māori people of Aotearoa (New Zealand) contained personal ornaments, such as pendants or feathers, which through contact with the wearer became imbued with his or her supernatural power. 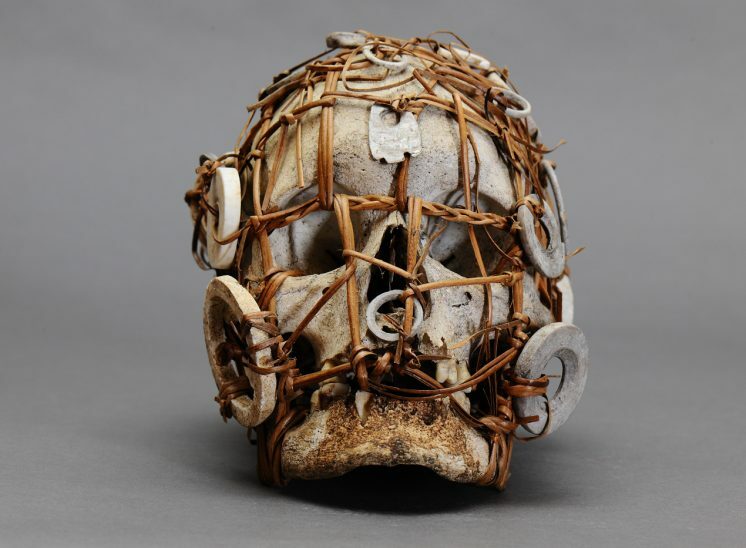 When not in use, ornaments were placed in the box, which was hung from the house rafters to safeguard its contents. 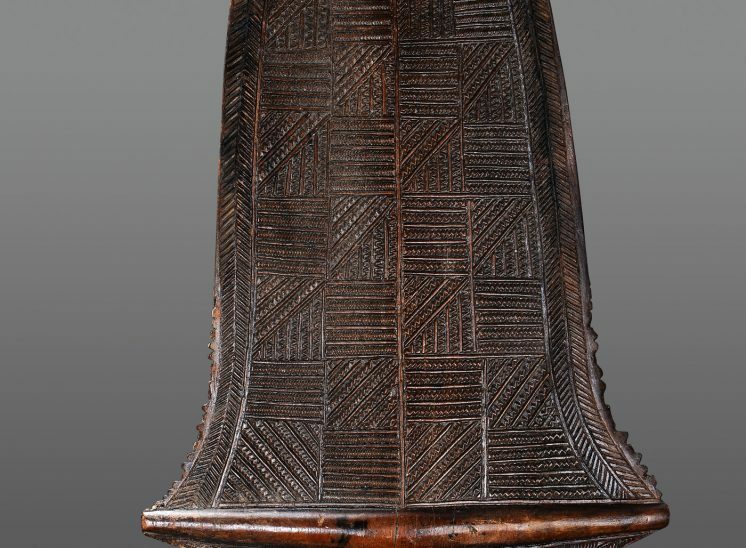 Intended to be seen from below, treasure boxes have ornately carved undersides and the human figures on this work, likely depicting ancestors, gaze downwards accordingly. 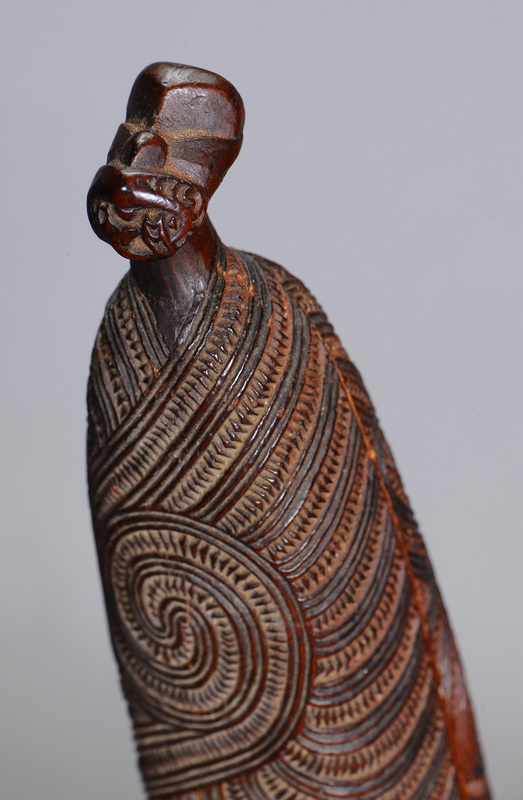 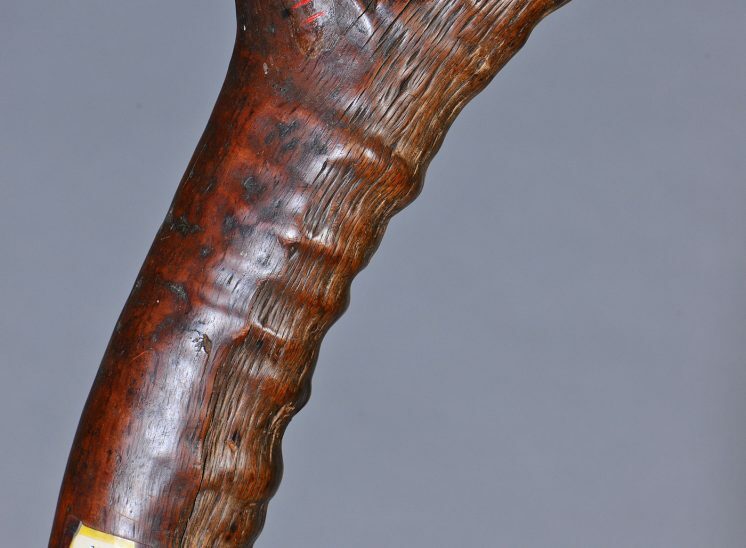 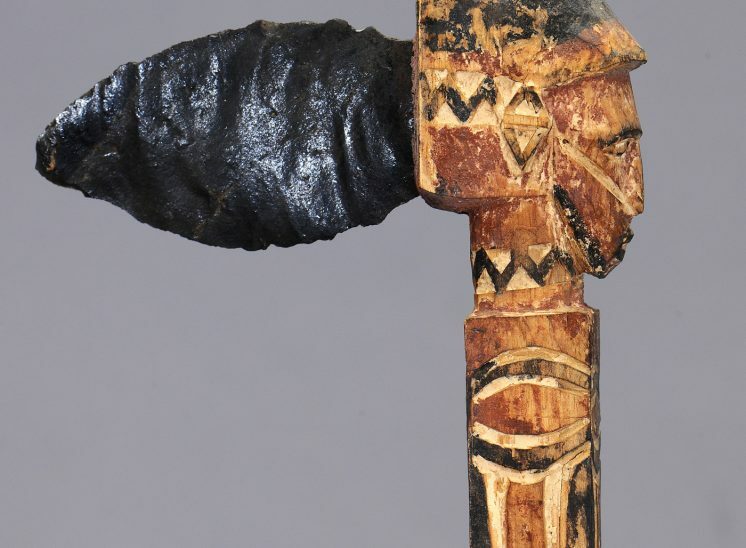 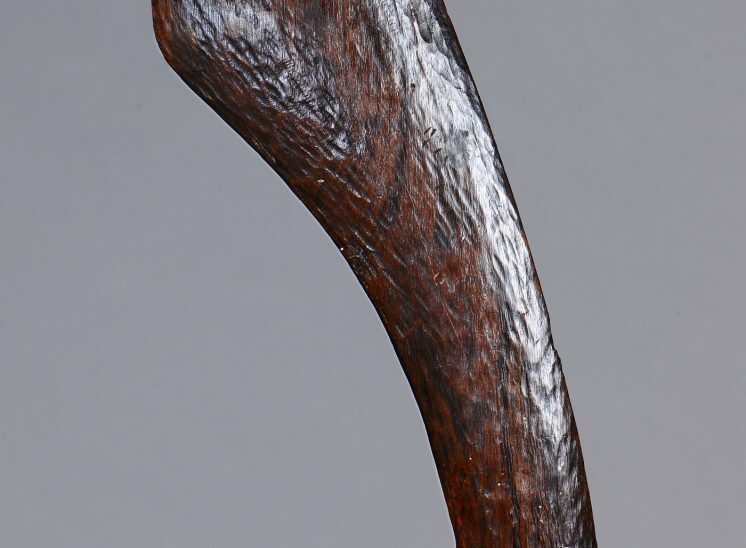 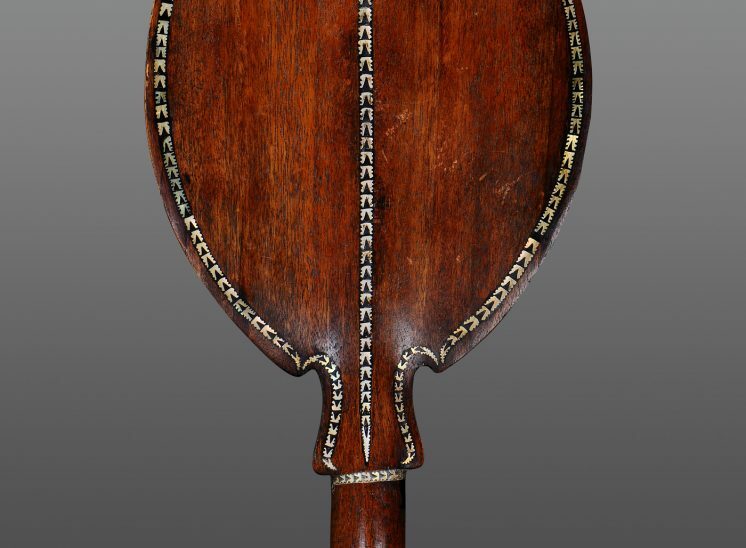 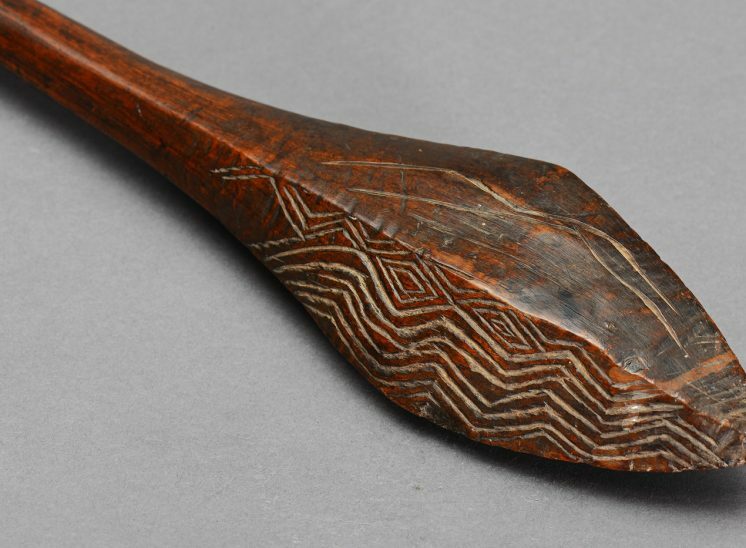 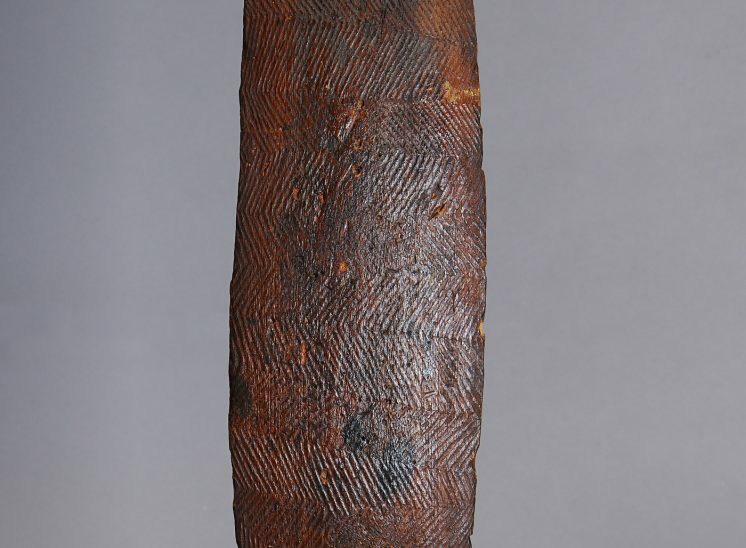 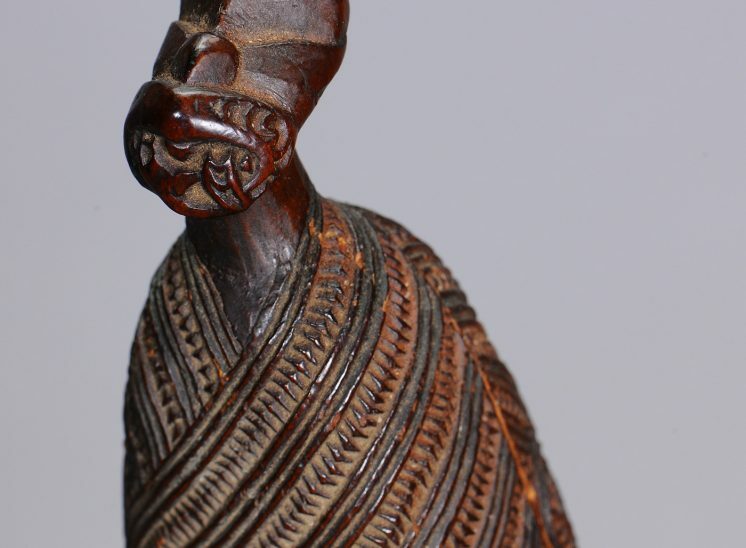 The surface shows the complex curvilinear designs characteristic of Māori wood sculpture.